There are OVER 800 reasons to come to Sports Cards Plus, a.k.a. The Super Hit Factory TODAY. First, we have $800.00 in Contest Winnings. Our $500.00 Drawing is at COB May 31st. Every time you make a purchase over $20 at Sports Cards Plus you get a FREE Ticket to our $500.00 matching the amount you purchased. And we keep pulling WINNING Tickets until we reach $500. First one to pull a Baggio Autograph from a box of 2014 Panini Prizm World Cup Soccer ($108 per box and $5.99 per pack) will WIN $100 at Sports Cards Plus. 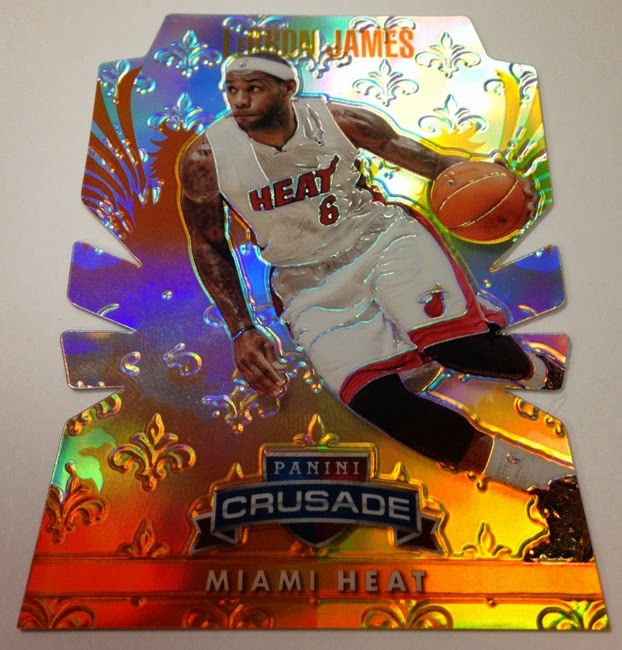 Best Pull from our boxes of 2013-14 Panini Titanium Basketball Wins $100. 1. The LARGEST Selection of Sports Cards & Memorabilia in ALL of TEXAS! 2. Hundreds of Authenticated (JSA, PSA, Upper Deck Authenticated, Steiner Sports) Autographed Items and Game Used of Hall of Famers. 3. The Largest Selection of Authentic Autographs of The San Antonio Spurs. 4. Our LOWEST PRICE EVER SALE continues for ONE MORE WEEK! 5. You get to pick your box from THE BEST CASES in The Hobby (see pictures in past posts). 6. You can meet and trade with THE BEST collectors in The Hobby. 7. FREE top loaders for your autos and relics when you open your purchases in our store. 8. RESERVE YOUR 2014 PANINI FATHER'S DAY PACKS TODAY with your purchase of qualifying Panini Products! 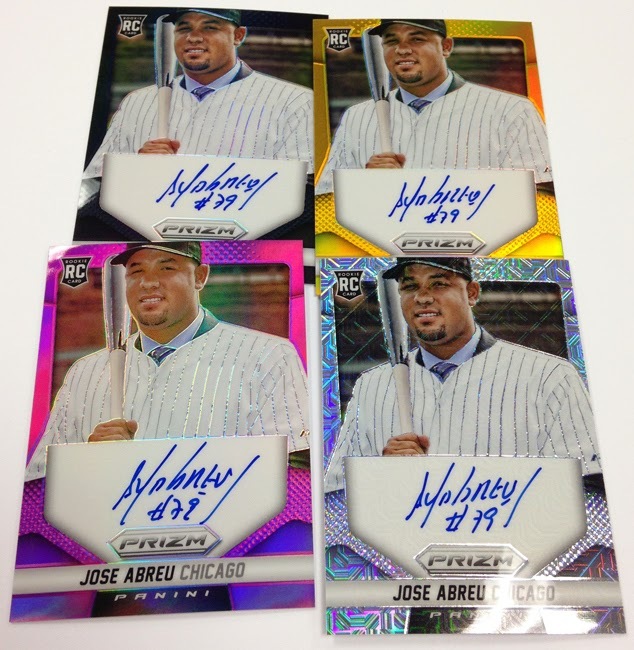 Due in this Wednesday at Sports Cards Plus is 2014 Panini Prizm Baseball for $59.99 per box with 2 Autos & 6 Prizm Refractor Cards per box. Autographs include: Nolan Ryan, Mariano Rivera, Ken Griffey Jr, Cal Ripken, Chipper Jones, Bo Jackson, Frank Thomas, Pedro Martinez, Greg Maddux, Tom Glavine, George Brett, David Ortiz, Chipper Jones Mike Trout, Manny Machado, Buster Posey, and MORE! NEWS FLASH: First one to pull a 1/1 2014 Panini Prizm Baseball Black Prizm Auto in our store WINS $100.00 at Sports Cards Plus! Also due in Wednesday is 2013-14 Panini Crusade Basketball for ONLY $66 per box with 1 Auto, 1 Memorabilia and 18 Crusades: Blue, Red #d/349, Teal #d/249, Orange Die Cut #d/99, Purple #d/49, Gold #d/10, Green #d/5, and 1/1 Black. Jereme & Family came to the Super Hit Factory in search of Super Hits. Jereme had his daughter pick out a 2013 Topps Triple Threads Football for only $139.95 per box. Here is Jereme's son and daughter with their Geovani Bernard Auto Jersey RC 1/10 and Russell Wilson, Taylor Price, Christine Michael Triple Auto Jersey! Brad came in and decided that 2014 Topps UFC Knockout for only $149.99 per box was the way to go. Here are Brad's hits from just one box. So, what are you waiting for? Don't be the guy who says, "That could have been my picture." Come to Sports Cards Plus TODAY and take advantage of OUR LOWEST PRICE EVER SALE!